So this week has been…kinda tough. I’ve got horrifying exams coming up (mostly the Big One, the almighty AP exam for AP US History—affectionately known as APUSH). Also, I’ve been having problems with my once lovely Windows Live Writer (don’t glare at me like that, WLW, or I will delete you) and generally life is just not going for me, so much so that I really don’t feel like reading. I really really really really want to get out of my house this weekend but that’s kinda not gonna happen because I have to study (STUDY!?) for exams. Just thought I’d throw that in there. See if you were paying attention. Though if you’re reading this post at all, I’m going to assume that you’re going to want to pay attention in the first place. Whatever. It’s early for a Saturday. Sue me. So I’ve collected some stuff over the past week (especially videos) that I wanted to share with you guys. First, Ms. Jackson Pearce, author of SISTERS RED (great book, albeit a smidge creepy)…Lemme just say that she is absolutely hilarious to watch and she bears a striking resemblance and countenance to Melissa Joan Hart. Ms. Jackson Pearce–Subscribe to her. She’s a riot. And then. If you are a blogger and have any blogging life at all and you are also a big fan of the Wolves of Mercy Falls series by Maggie Stiefvater…then you should already know about this next video. Follow Friday is hosted by Rachel at Parajunkee’s View. Here at Le Blog, I review almost every book I read (unless I’m a slacker and never get around to writing up a review—which rarely happens, I promise. There are only TWO books to this day that I haven’t reviewed yet…). And I read mostly urban fantasy (stuff like the Wolves of Mercy Falls series by Maggie Stiefvater and the Caster Chronicles by Kami Garcia & Margaret Stohl) and medieval fantasy (stuff like the always awesome Seven Realms novels by Cinda Williams Chima and the late-coming Inheritance cycle by Christopher Paolini). But I read some sci-fi. I absolutely LOVE the Artemis Fowl series by Eoin Colfer. And I’ll pick up any YA book of Rick Riordan’s. That’s not to say I don’t read contemporary, though. Just not as much. But I own almost all of Sarah Dessen’s novels (I don’t own Dreamland—talk of an abusive boyfriend kinda freaks me out and makes me just a wee bit paranoid). I also love contemporaries liiiiike…Kieran Scott (I Was a Non-Blond Cheerleader), Ally Carter (Gallagher Girls—I’d Tell You I Love You But Then I’d Have To Kill You), Julia Hoban (Willow) and John Green (Looking for Alaska). Long list, yes. BUT! I also read a few adult series. (Seriously, only, like, two. I have a very chaste mindset…sorta.) My favorite series in the whole wide world (besides Harry Potter, duh) is the Mercy Thompson series by Patricia Briggs. (Includes Moon Called, Blood Bound and Iron Kissed) Love, love, LOVE that series. But I only own the first three…Yeah, that’s kind of annoying. I also picked up a new adult series that came highly recommended and that is the Shifters series by Rachel Vincent. (Includes Stray, Rogue, Pride) And technically…Maria V. Snyder’s Study series is for adults but it is TOTALLY appropriate for young adults too. (Includes Poison Study, Magic Study, and Fire Study) And I own all of Maria V. Snyder’s books too. Besides books (is there such a thing? ), I am a graphic designer. All the graphics on my blog were made by yours truly. I am also a struggling writer (meaning I’m in that endearing stage where I can’t get past the first thirty pages). Today…today…Ladies and gentlemen, let me inform you—and perhaps remind you—that today, Exile by Anne Osterlund is being released to the eagerly howling public. 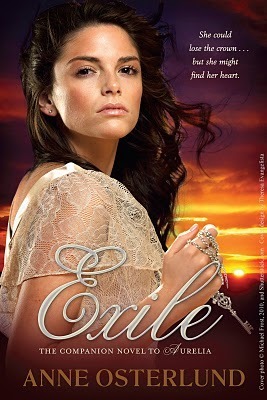 A few brief words on Exile and the author, Anne Osterlund. Exile was a fantastic sequel to the first book Aurelia. 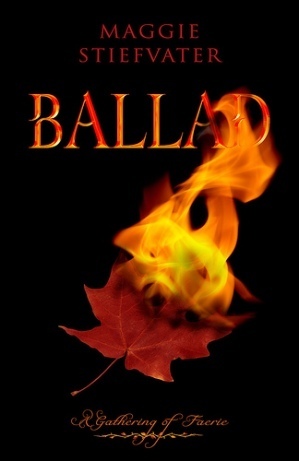 It was a series—a world, a cast of characters and a writing style—that I fell in love with immediately. Aurelia is tenacious and clever and Robert is not your average, every-day stock hero. In Exile, there was so much that I didn’t expect but I absolutely devoured it. The characters expanded, as did the reader’s knowledge of the world and the writing style matured. I had the pleasure of interviewing Ms. Osterlund last year. She is one fantastic lady. If you have no idea what I’m talking about (for shame!) then let me further indulge in your curious literary senses. For a princess, love might be the most dangerous vice of all. Crown princess Aurelia is a survivor. She survived attempted assassination. She survived the king’s rejection. She survived her mother’s abandonment. And now, in exile, she must survive her kingdom—from hostile crowds to raw frontier to desert sands. But even as unknown assailants track Aurelia and expedition guide Robert, she knows what her greatest risk is: falling in love. Visit Ms. Osterlund’s website –> AND visit her blog! I bought, read and LOVED the first book The Red Pyramid. I’ve loved Rick Riordan’s books for a while now—I absolutely love his Percy Jackson and the Olympian novels. (Actually, I need to reread them and post reviews!) So this one comes out in roughly two weeks. Can’t wait! Learn more at the Goodreads page here. So this is just one of those things I happen to do oh, say, every five months or so. Don’t know why. I’m just a slacker that way. But I really need to get back up on that ol’ saddle and start doing my Waiting on Wednesdays and Follow Fridays and stuff. The hair on the back of Maerad’s neck prickled. She had a strange, taunt feeling, as if there were about to be a storm and the air was crackling with imminent lightning. She looked around the byre. You can add The Naming to your Goodreads here. You can visit Allison Croggon’s website here. Feel free to leave a link to your own teaser! Before he knew about the Roses, 16-year-old Jack lived an unremarkable life in the small Ohio town of Trinity. Only the medicine he has to take daily and the thick scar above his heart set him apart from the other high schoolers. Then one day Jack skips his medicine. Suddenly, he is stronger, fiercer, and more confident than ever before. And it feels great until he loses control of his own strength and nearly kills another player during soccer team tryouts. As if his bizarre magical heritage isn’t enough, Jack finds out that he’s not just another member of Weirlind he’s one of the last of the warriors at a time when both houses are scouting for a player. James Morgan has an almost unearthly gift for music. And it has attracted Nuala, a soul-snatching faerie muse who fosters and then feeds on the creative energies of exceptional humans until they die. James has plenty of reasons to fear the faeries, but as he and Nuala collaborate on an achingly beautiful musical composition, James finds his feelings towards Nuala deepening. But the rest of the faeries are not as harmless. As Halloween—the day of the dead—draws near, James will have to battle the Faerie Queen and the horned king of the dead to save Nuala’s life and his soul. Although I will be in Kentucky the last half of Spring Break, I’ll be reading the rest of the time and will make sure to be more prompt with my reviews. 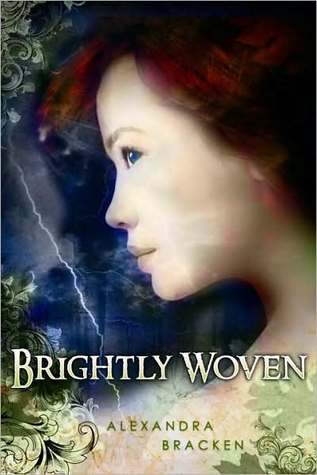 I know I promised Brightly Woven last week and wow! Didn’t produce, did I? Anyways. The teachers have been trying to get as much work in as possible before Spring Break. AND I have AP exams coming up in…two weeks? Yeah. Short time. I’ll have a CRAPLOAD of books to show you next week, because I’ll be going to Half-Price Books and I just got paid! 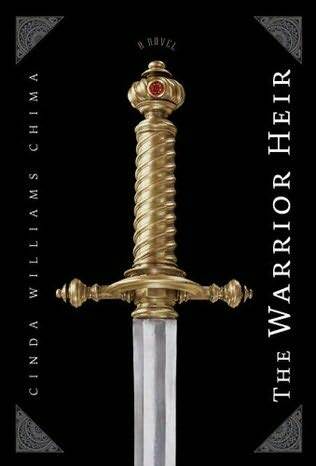 I’m also currently reading The Warrior Heir by Cinda Williams Chima. ^^I noticed I start a lot of blog posts that way. Should consider breaking that habit. Shockingly, I’ve hardly read any of the debut books I set out to read this year. (Though I do concede the fact that it’s still only April.) I really should dictate a solid reading schedule with the most recent books first but…obviously, I’m a very erratic reader. And it’ll only get worse when I hit Half-Price Books like a storm when I go to my hometown of Lexington, Kentucky over spring break. Who knows what I’ll pick up there. When I finish one of these books, the title will be moved to the top of the list and put in italics. All books below the italicized titles are in order of publication date. All links go to the respective reviews. Today is a cold a dreary looking Sunday. It’s past nine o’clock and there’s still mist hanging around the ginormous tree at the top of my street. Really, a rotten kind of Sunday. With this weather, I’d rather it be Tuesday or Thursday, something that starts with ‘T’. Nothing that starts with ‘S’. I must write in protest to my Congressman. Hex Hall by Rachel Hawkins – I’ve tried…three times now?…to take the time to read this book but it hasn’t happened yet. So I’m trying to buckle down and read it because I have it on good authorities that it’s awesome. 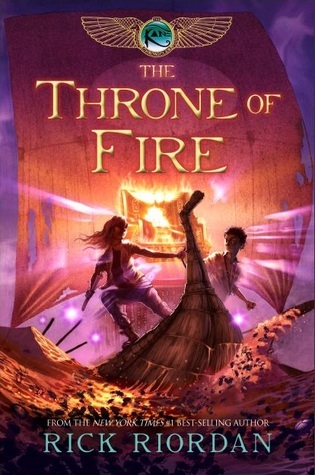 Tortall and Other Lands by Tamora Pierce – It’s Tamora Pierce…nuff said. Brightly Woven by Alexandra Bracken – I would never have read this book if I hadn’t somehow ended up on Alexandra Bracken’s website. I started reading her blog, was totally captured, and checked Brightly Woven out the next day. Next time I’m at Borders, I’m buying this. Dealing With Dragons by Patricia C. Wrede – I saw this on the library shelf, had already researched it a bit, and decided to check it out. I was in the mood for a short, inspiring read. Ravenwild by Peter J. Plasse – When presented with this, I thought it sounded really awesome. Just the cover tells how good it has to be, right? I’ll probably latch onto this after my library store is out. Warriors of the Cross by T.R. Graves – Ms. Graves is a cool lady. Her story looks like something I could really get into. And the swag? Totally awesome plus. I have a new personal blog. I wanted something fresh and new, something I hadn’t contaminated yet. ;) So if you’re into reading rants, stop by 3 Vintage Muffins for a chat. Stop by tomorrow for a review of Brightly Woven by Alexandra Bracken.